This Omega Mfg. 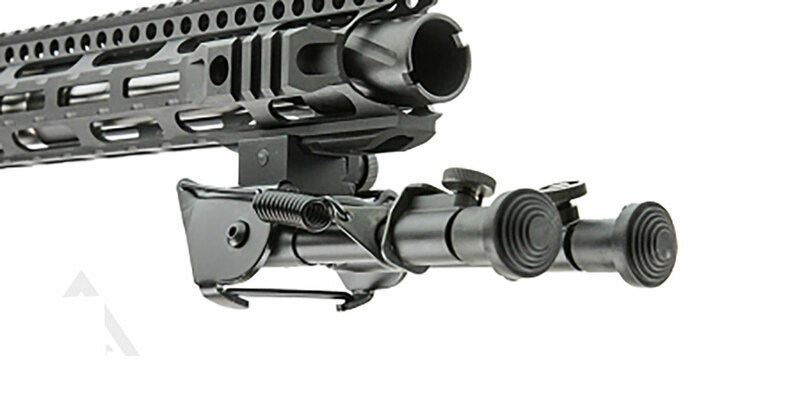 Bipod has an adapter for AR-15 handguards with a Picatinny Rail and Sling stud Mount. Strong and light weight Aluminum Construct. 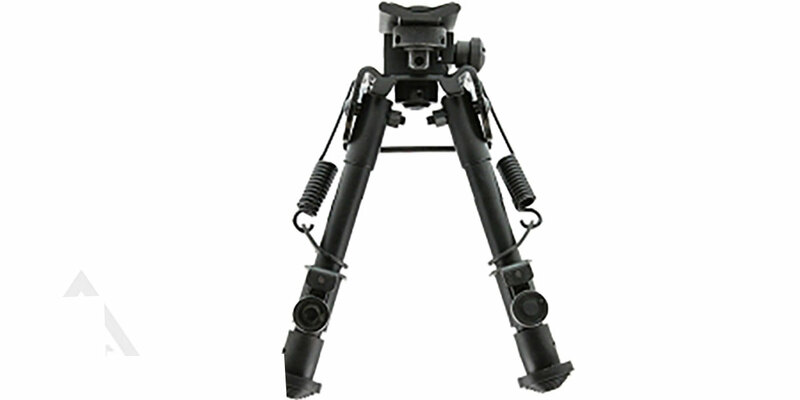 The Bipod comes with rubberized feet, foldable legs, and a spring loaded extending system. 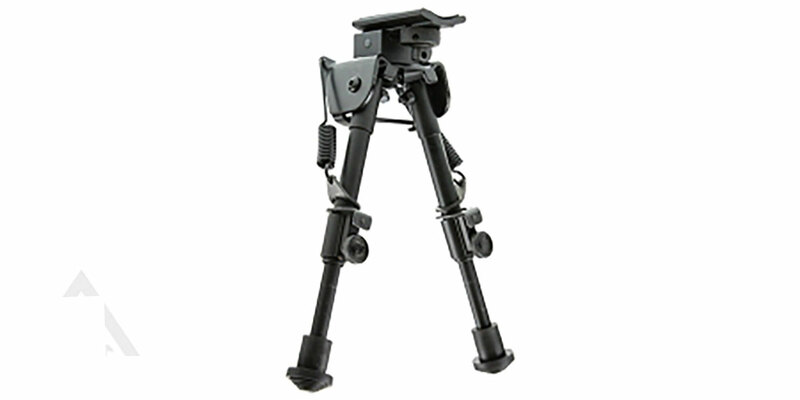 The height of the Bipod legs can range from 5.5" to 8" and weights 11.1 oz.